Every parent is horrified when their little darling bites another child or acts out aggressively to anyone. 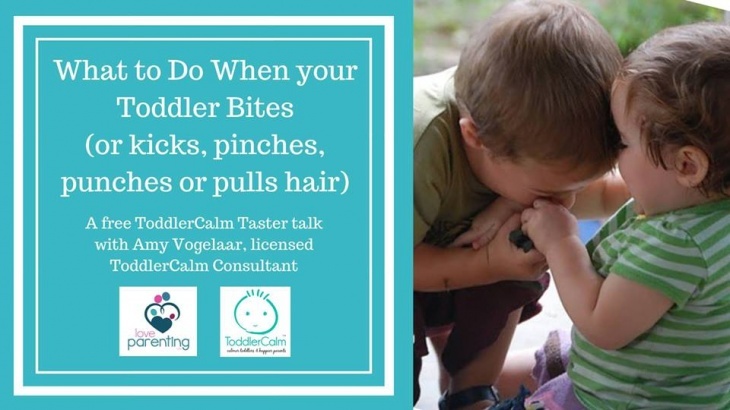 This Free ToddlerCalm taster focuses on what to do when your toddler bites (or hits, kicks, pinches, punches, pulls hair, or otherwise acts out aggressively). Learn why you don't need to worry so much about whether or not you are raising a sociopath, why toddlers behave this way so often, how you can respond in the most effective way, and how you can possibly prevent these kinds of aggressive episodes. ToddlerCalm is a positive, science-based, gentle parenting approach for parents of 1-4-year-olds.